This time of year is a bit saddening in a way. I mean as much as I love the cooler weather, and the colors beginning to change, it is also that time where I say farewell to my garden. As much I has harvested tomatoes, chili peppers, bell peppers, broccoli, and beans, it is that time where I have to pull them all out, most likely in the next week or so. So this past week I decided to use up some good Italian bread that I thought my boys would devour, but which they did not, and use it up to use up some of my fresh garden items. 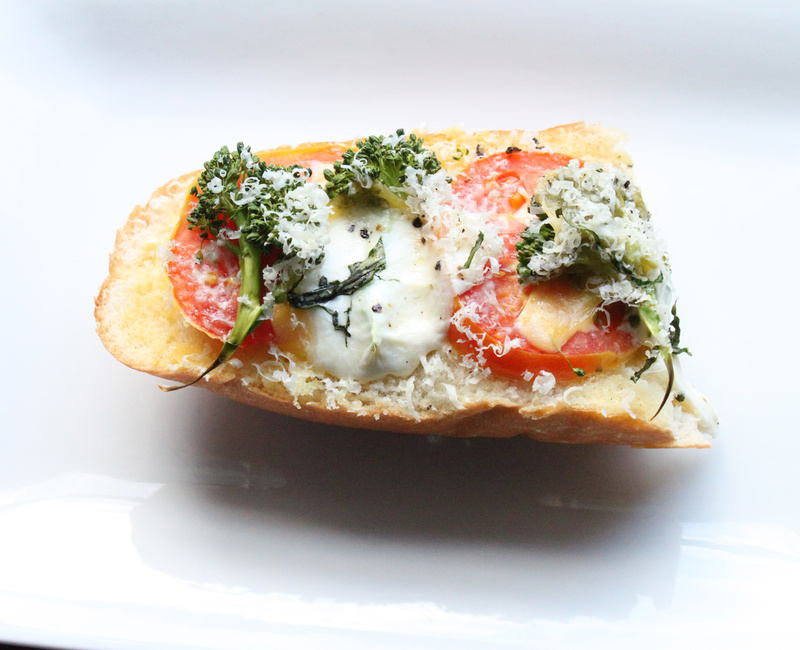 At first I thought I was going to to bust out some bruschetta, but that’s when I decided to come up with this garden style French bread. Wow, was this ever awesome. Divide the garlic and spread on the bottom of each slice of bread. Season with salt and pepper. Next spread out the American cheese on slices of bread. Next, lay on the tomatoes, and divide the mozzarella cheese between the tomatoes. Layer on the broccoli, and shower each slice with parmesan cheese. Place onto a baking sheet, and place into the preheated oven, cooking until the cheese is nicely melted, about 14 minutes. Once the bread is cooked, remove it from the oven, and slice into serving sizes. 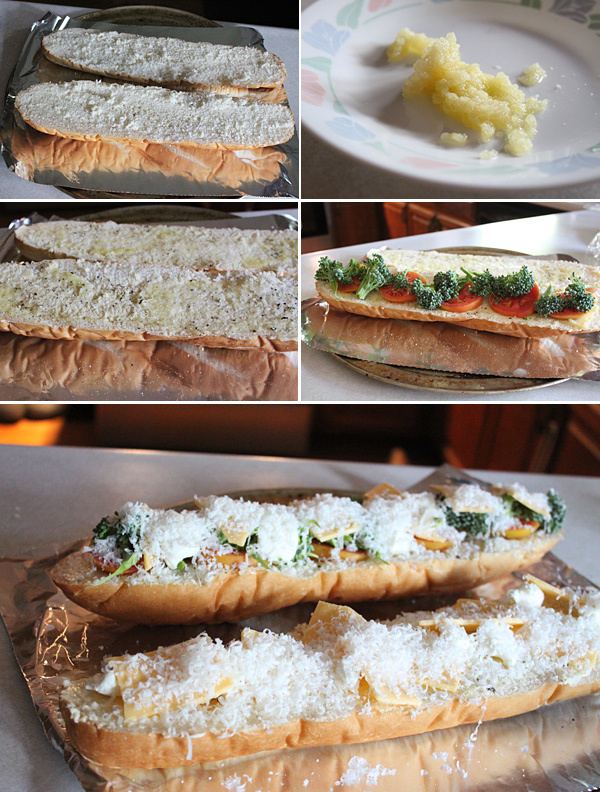 The end result is everything you would love about a cheesy garlic bread, but the awesomeness for fresh garden ingredients. So if you are looking for new ideas to use up some of your delicious garden ingredients, give this one a shot. It’s something everyone loved at my dinner table. Hope you enjoy!